The French pages in this site, are designed to provide both general and detailed Information on France. Through out the pages dealing with France, you will find a Detailed Map France and interesting facts about France. There are sections for French News, an expansive French Travel Directory, a Reference Directory for Paris, with considerable information on Ile de France region. 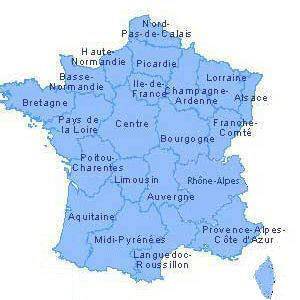 All the 22 French Regions [regionaux] are described extensively and in depth, as are all French departements [counties] and the major French cities such as Beaune, Blois, Brest Bordeaux, Paris, Marseilles, Nice, Strasbourg and much more . . .
changed over time, emblems were added over her history, and finally returned to the present state.